I noticed that today was a PR update! From 1 to 2. It’s been a long time that Google team has updated their popular Google Page Rank algorithm. 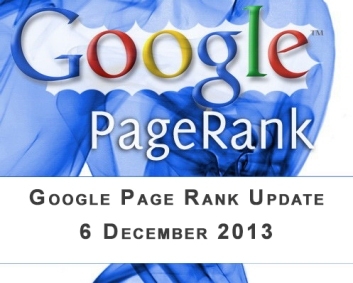 The previous PageRank update was done in 4 Feburary 2013 and generally happens every few several weeks or so. I have checked some websites of mine and some of the competitors and this is definitely a Page Rank update. Some of mine gone up 1 point from PR 1 to PR 2 some went from PR 1 to PR 2. But I am still satisfied that most of sites have excellent good Page rank.. . I’m sure next time araghu.wordpress.com will get at least PR 3 or 4. As you would expect, some sites are going up, and some are going down, but in both cases, webmasters are noticing. UPDATE – Matt Cutts of Google recently said this to @NielsBoschh on Twitter. Google Toolbar Pagerank, might indeed be finished – at least, this year. Matt Cutts said he would be surprised to see an update happen before 2014. Confirmed Network Wide 27/28 May 2009 – Google PR Update? A video from Google’s Matt Cutts, the head of search spam team. He explains how frequently page rank updates occur & how often you will see updated values in the pagerank toolbar.